I really like this round chemistry class because the topics are really cool to learn about and the worksheet that we have to complete are very interesting. My favourite part of the class is when we learn about lewis structure. I always wanted to understand what those bond, letter, and dots mean. Now I am able to look at a compound element and write a lewis structure. I can even identify whether it’s non-polar or polar and the name of the bond. I also think it’s pretty fascinating to be able to name the covalent bonds because their names are very long and technical. For the last 2 weeks of class, we got introduced to the limiting reactant and excess reactant. This is also my favourite topic because I learn how to balance the chemical equation and how to calculate limiting reactant. To find the limiting reactant, it is actually taking a lot of steps and calculations of the molecules. That’s what make it so fun for me because it require a lot of concentration and I just really like the way the compounds are written. I hope to learn more about chemistry and although it might be complicated to understand, I think I will try my best to learn and help my classmates. I really love math but I was never really good at it. When seeing math equations, it look so cool to me but I couldn’t figure out on what is the first step I should take to solve the problem. I then become stuck but then it becomes very fun for me because I can try to find a different way to solve the problem but then it become stressful when I still couldn’t figure out a way to solve it. In math class, we’d been using Khan Academy and College Board which are the educational platforms to help us prepare for the SAT on October 6th. I try to practice math at least 30 minutes every night, but sometimes I couldn’t do it, however I get to practice math during math class which is a great thing. When class started, our teacher usually go over math areas that students has questions on and explain us how to solve the problem. Sometimes I just admire how intelligent our math teacher is. Not only he is super funny, he is super smart, and always encourage us to keep trying harder. There was a time he did a timed-math-calculator-okay section on Practice SAT with us. Every question he did, he would explain us what the question mean and go over step-by-step on how to solve the problem. It was a timed-practice-test but he still took that time to make sure that we understand what he is doing. At the end of the practice test, one question was not answered, and one was incorrect — it is not because he didn’t know how to do it, it was just that he ran out of time because he was busy explaining us how to solve the questions. I was so impressed, how can he do that! Well what should I say, he is our math teacher. SAT is coming up. I am trying to practice as much as possible but I don’t think I work hard enough. I am worried about the test because I know myself that I don’t practice enough on the math section of the SAT. I still have many more areas that I have to work on, to learn, and to understand how to solve that type of question. My goal for the math section is to reach 600 points, I accomplished that before but I do not think I will be able to do it this time. I hope I do okay with the upcoming real SAT. Starting with the new school year, we got a new teacher to teach us about chemistry! I really love chemistry because it is very interesting to study how the chemicals works! In the first round of the class, we covered 2 mains units called the “Scientific Method” and the “Matter, Atoms, and the Periodic Table” topics. In each unit, there were many sub-topics that we have to learned about such as Emission, Atom, Mole, Electron Figuration, and many more! We got to do a lab called Flame Test. This lab was fun because we got to do an experiment with flame and flame is always interesting in chemistry. In the lab, we make sure that everyone wear safety glasses, gloves, sneakers, and their lab code. During the flame test, we want to see the changes in flame’s colour when we put the different type of Chlorides onto it. When we put the copper chloride onto the flame, it changed the flame’s colour from orange to green and blue and it was so beautiful. The flame was kind of spiky. After the experiment, we measured the wavelength of light of each flame’s colour using the colour wavelength table. There were error during experiment such as that we do not accurately identify the flame’s colour using our eyes. But from this lab, we learned that the higher the energy level, the higher its wavelength of light. I did an independent discovery on learning Korean language because I really like Kpop musics now a day. I also think that their letters are so cool that I want to know how to write and read it. I am hoping to go to South Korea one day (if possible) to see the culture and the people there, so I think learning Korean might be really useful. The other thing is, I want to speak more than two languages, so now I am trying to learn Korean as my third language. 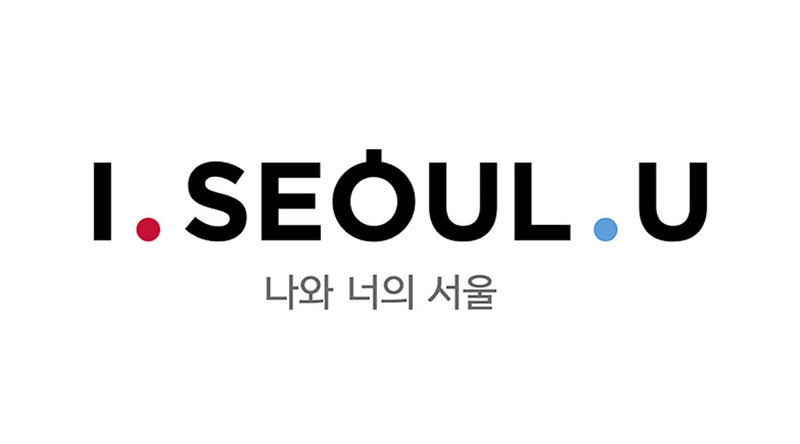 저는 한국에 없습니다 : I am not in Korea. 공원에 길이 있습니다 : There is a road in the park. But Korean language is complicated especially its grammar. It is really hard for me to understand the structure of a sentence. It’s also hard to know what should I used when saying something to someone. For an example, now I understand that there many way of saying “Thank You” in Korean. 감사합니다 : this is a formal way to say thank you to someone such as elders, or strangers. But you can also say it to anyone to show your respect. And there is many other way to say Thank you. Also the other things I found hard is that I don’t know when do people use what consonant, for an example the ㅋ ㄱ ㄸ ㄲ ㅃ ㅆ ㅉ because they are very similar. There are also other vowels and consonants that are so confusing. Their numbers also confusing because there are two types of how to say each number in Korean. I think what’s motivate me to learn this language, it’s because I like Kpop musics, and South Korea sounds really interesting with their culture. I want to visit the country one day. The last reason, probably because I want to understand what Korean students said as sometimes I meet them a lot at different events. I guess the first time I try learning this language going to be so hard but as long as I keep practicing and learning, I will be able read, write, and have small conversation in Korean. I am hoping to continue this expertise because I really really want to speak this language and understand what the other Korean people saying. 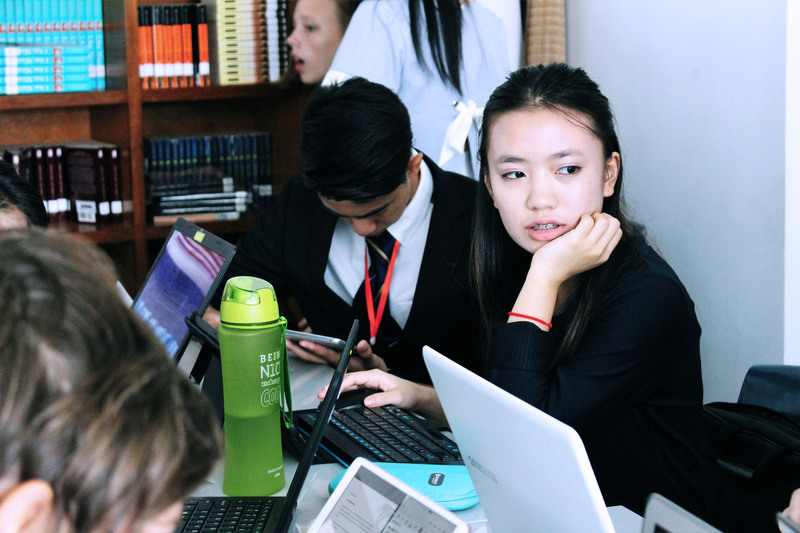 There’s another Mode UN happened at iCAN British International School in Phnom Penh. 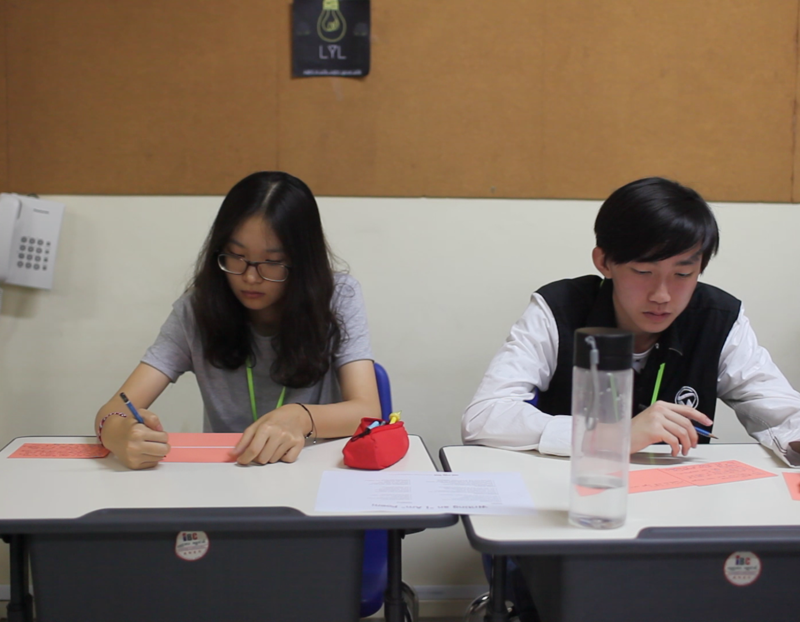 There were some juniors and a few seniors who participated in the event as delegates. I was given the opportunity to be the head of press. It was a great experience where I was able to take pictures and create videos for the conference. Thank you Liger and iCAN school for giving me this opportunity, it help me to do what I love and share my creativity to people. Click on this link to see all the photos that the Press member took! Gender Equity was so far one of best the Explorations I have involved in. I think I was lucky enough to be in that project because I actually learned a lot of valuable and beautiful lessons. In Gender Equity we talked a lot about gender issues in our society like gender and violence, gender and economic, gender and culture, LGBTQ+ community, mental health, beauty standard, and more! Every day we would have a family discussion. It’s not just any discussion, it’s so powerful that we almost cry every day. We shared stories about our family, what we see now in our society, or what we used to experience. I learned a lot from others and somehow it brought us closer. Every day, our teachers would show us some stories, poems, and videos to inspire us so that we could create creative pieces for our blog. 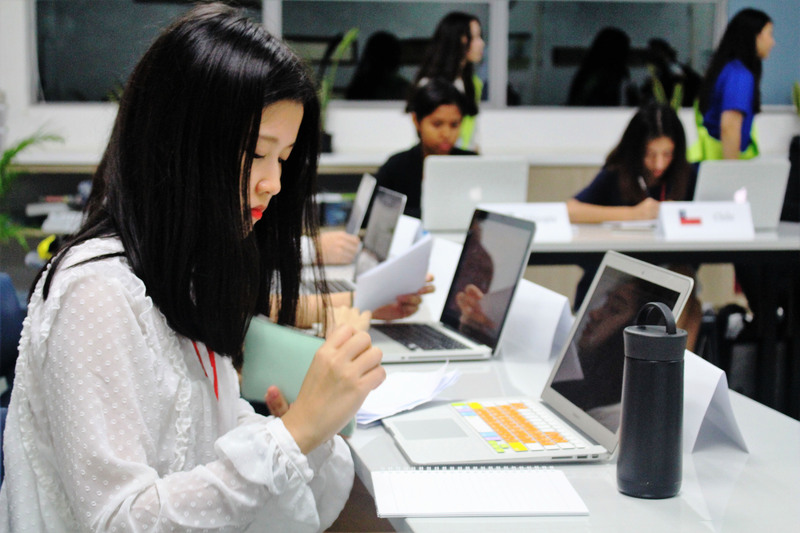 We created a blog called CHANGE which stands for Creating Humanitarian Awareness for the Necessity of Gender Equity; there are some articles related to gender that some of us wrote, if you want to check it out please click on this link. 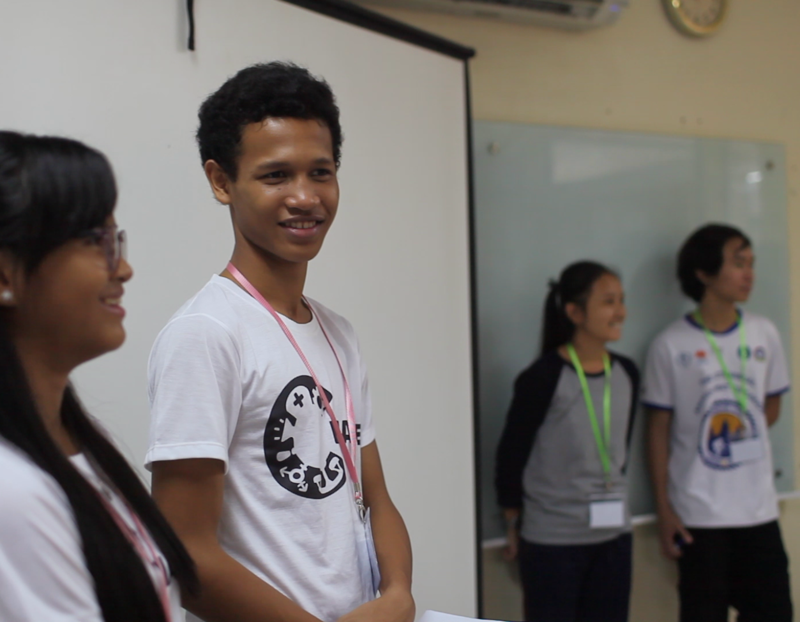 At the end of January during our Exploration, we created a Gender Summit where we invited schools around Phnom Penh to participate. There were over 100 high school students at the summit between January 28th and 29th. 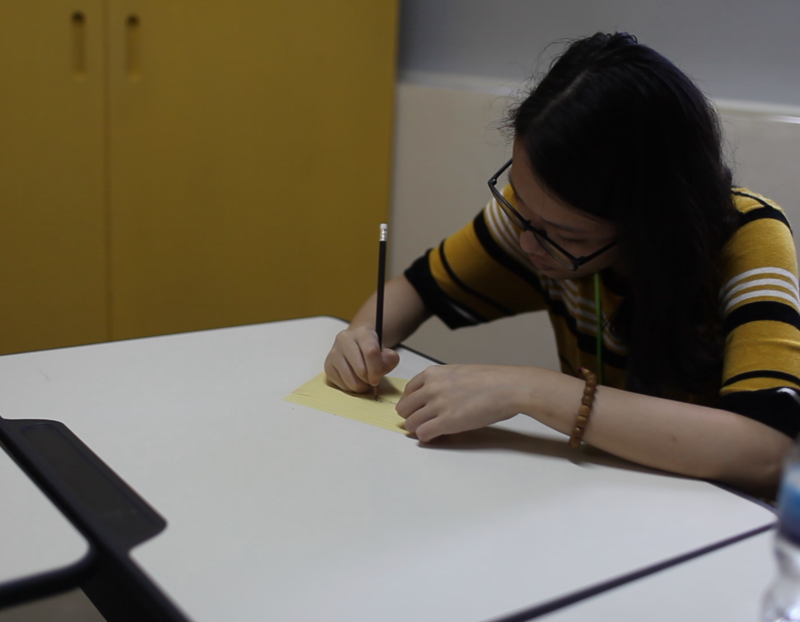 I was the press, so I didn’t really know much about the activities that they did but our team came together and create activities for each section based on the topic that they’d given. 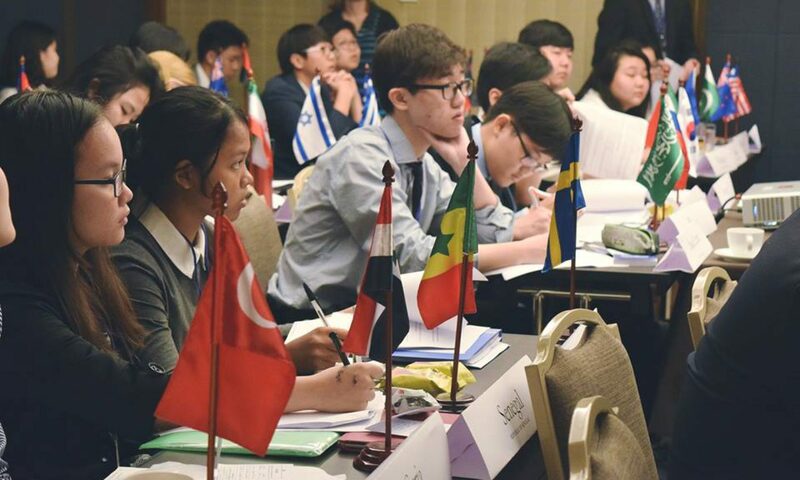 The topics were culture, language, economics, and power. 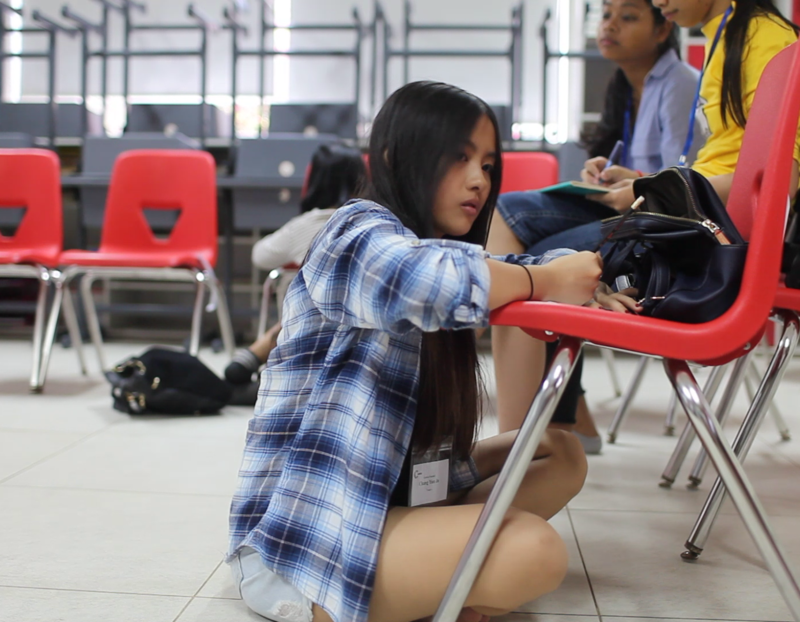 Through this experience, I think we were able to educate students especially those who are Cambodian on Gender Equity. We were able to shift some of their perspectives on gender ideas, for an example, women aren’t naturally a good caretaker, she learn it from her surroundings and that anyone can become a caretaker, it doesn’t have to be woman. I hope we all continue fighting and even if we won’t be able to solve all the gender issues, I hope we as a person start to do something that could help. Don’t blame the society because we are part of society and it is part of our responsibility to make a change and save this world. This is the documentary we made, but it is so long so it is okay if you won’t watch it. I was involved with an expertise called Journey of Change. It is a bike tour business expertise. On a Saturday in January, I got to go to the tour with the head guide and the clients. During the tour around rural Phnom Penh and the city, I learned to observe and manage the money that have given to us to pay for the snack, water, and transportation. As a trainee, I have to listen and observe what the head guide did so that after I have that experience, I can try to become one of the real guides. I hope this bike tour continue to go well so that it can help us and help to preserve our country’s culture. If you want to know about the business please click here. December is a pretty name, and in this month I got to do something I always wanted to do for along time! Finally, I got selected to be one of the volunteers on an eye-sight mission with the collaboration from the Khmer Sight Foundation. We went to a village around Kondal province. When arrived at the scene, I saw many old people and I was feeling happy that they really care about their eyes/health. Through this mission, I get to learn how to do eye-test using the E strategy, and help those elders. It feels amazing to have helped those people because with this project, those elders would be able to see clearly again. During a weekend around November, I volunteered to be one of 6 students to distribute the food [and sunglasses] for the elders in a community nearby Liger. We were collaborating with Khmer Sight Foundation (KSF) in order to make this project happen. One of the main purpose of the project was to help the elders check their eyes vision since it’s actually an important problem in Cambodia that people should address on. But I wasn’t in the project at the next day, so I was actually only helping on giving out the food and walking around the community with KSF people to find issues of that specific place. At the end of the day, I was happy to be involved in this kind of project because all I wanted to do is to help people in my community or around the world. I guess you kind of understand that feeling where you get to do things that could bring happiness or change someone’s life. I am looking forward to involve more with this kind of projects and hope that my little action could affect the people around me. On a Sunday afternoon I did a Photoshop workshop with one of our facilitators. I learned how to do basic photo editing using white balance, photo filter, curves, exposure, saturation and other tools! Here are a few photos I edited! 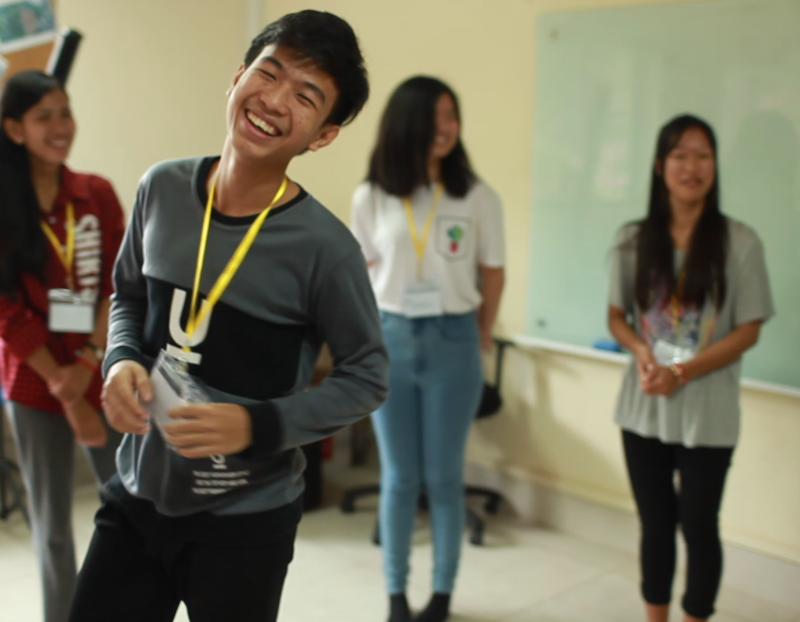 My name is Samady, I am 17 years old and a student at the Liger Leadership Academy in Cambodia. I am passionate about making a difference in my country and the world, and I believe that everyone else has the potential to do it too. I love film making and photography. I find so much inspiration from these medias because pictures and films depict emotions that I can very much relate to. I am very lucky enough to be apart of Liger. Without Liger, I wouldn’t know current events and I wouldn’t have the opportunity to help my nations and other people.